Width: 78 cm, height: 66 cm. From Halikarnassos (modern Bodrum, Turkey). 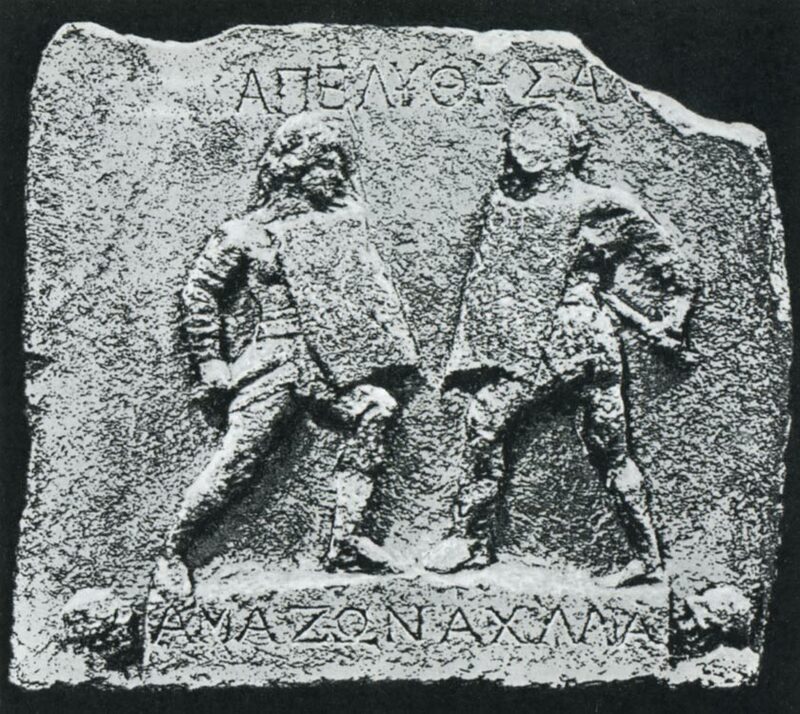 On the bas-relief names of the participants of the fight are written — Amazon (on the left) and Achilia. © 1998 Photo, text: V. Tarnovskij. Gladiatory. Izd-vo «Slovo», 1998, s. 15. Copyright © 1987 Tessloff Verlag, Nürnberg.